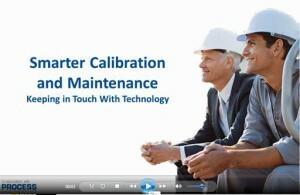 Background to the evolution of portable calibration and the development of paperless calibration. Show the gains achieved from combined calibration and communication in today’s world of HART and Fieldbus and the incorporation of calibration into maintenance regimes. Conclude with an insight into the world of web-based calibration management systems (4Sight) and how they interface with CMMS and high end ERP software. Click-here to view the webinar now! Posted on Tue, Jul 01, 2014 @ 08:27 AM Foam Measurement and Liquid Level Instrumentation: A Magnetrol Applications Study Process media susceptible to foaming are particularly challenging to accurate liquid level measurement. Foam’s lower density, as compared to a foam-free liquid, will absorb or deflect a substantial portion of the return signal, diminishing the all-important reflectivity required by non-contact measurement technologies. Depending on the degree of foaming, a foamed medium can also turn aggressively sticky and completely lose all flowability. A Magnetrol® prepared foods customer in Europe is well aware of the high demands that foam measurement places on liquid level instrumentation technology. The company’s chocolate mousse product is intentionally infused with air to give it the light and airy texture that is the signature of this dessert. The very name “mousse” is the French word for “foam.” The mousse filling system, with its multiple storage containers, measures chocolate mousse levels at various stages of foaming. Each of these stages varies greatly as the system controls the dosing, foaming and other processes. A total of five measurements are required to produce the liquid, with several additional steps to create the ready-made mousse. But a continuous, reliable and repeatable measurement for the application had evaded the food processor. Competitive solutions faltered, including guided wave and through-air radar devices, as strong buildup took down capacitance and the lack of fluidity eliminated float technology. It always came down to signal loss, measurement errors and massive production waste, either by over- or underfilling the reservoirs. Finally, the MAGNETROL Eclipse® guided wave radar transmitter with a hygienic single rod probe gave the customer a solution to this tricky measurement application. With just a single sensitivity adjustment to the transmitter, the entire measuring range produced results that eliminated any need for high- and low-level switches. Even the built-in tank agitator did not challenge the performance of the ECLIPSE device. After the customer screened the measuring capability of the ECLIPSE model within an experimental facility, the plant manager gave the thumbs-up to install the transmitter in all five tanks. At another prepared foods facility in Europe, it was the level (with foam) measurement of a yogurt filling system that was causing headaches. This company requires a continuous, reliable and repeatable level measurement in the filling system for its low-fat yogurt. Feeding the filling machine on the production line are three different tanks, each one requiring its own level sensor. Derived from the Turkish word for “curdled,” yogurt is a thickened dairy product produced by bacterial fermentation of milk. Making the yogurt product creates significant foaming in the feed tanks, an issue that a level instrumentation competitor said could be solved using capacitance and guided wave radar devices in tandem. But when these devices were applied, measurements failed by indicating either zero level or 100% level. When Magnetrol proposed an ECLIPSE guided wave radar transmitter, a comparison test was requested. The two feed tanks were equipped with ECLIPSE units and the third tank was equipped with a competitor’s capacitance sensor. Because ECLIPSE was manufactured with the competitor’s standard process connection—a SMS nut—it was very easy to change between the two different level devices. During the six-hour test, the two installed ECLIPSE units worked without a single failure. During the clean-in-place cycle and the product changeover, the ECLIPSE models again performed flawlessly. The customer replaced the competitor’s capacitance sensor on the third tank with one more ECLIPSE transmitter. Today, all the yogurt tanks at the facility are functioning at optimal levels, using ECLIPSE guided wave radar technology. via Reliable Foam Measurement Within Liquid Process Media is a Challenging Application. Geothermal reservoirs located deep underground provide powerful sources of heat energy. Drilling a geothermal well to a reservoir brings hot water and steam to the surface, where it is valued as a source of renewable energy. The three principal uses of geothermal power are electricity generation, geothermal heating and geothermal heat pumps. In these systems, there is a wide range of applications that require reliable level measurement and control for efficiency and safety. 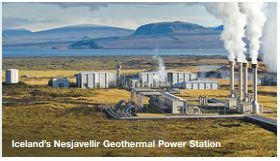 Geothermal electricity can be produced at dry steam plants, flash steam plants and binary cycle plants. Dry steam plants use steam piped directly from a geothermal reservoir. Flash steam plants take high-pressure hot water and convert it to steam. As the water rises, the pressure is reduced and the water flashes to steam. Binary cycle plants take heat from the geothermal water and transfer it to an organic fluid (a butane or pentane hydrocarbon) with a low boiling point in a high-pressure heat exchanger known as a vaporizer. The heat transfer causes the second (or “binary”) liquid to turn to steam. Geothermal heating is the direct use of geothermal heat for space and process heating applications. Industrial applications include zinc and gold mining, desalination, milk pasteurization and food dehydration. Geothermal heat pumps use the Earth's constant temperatures to heat and cool buildings by transferring and removing heat into buildings according to seasonal needs. 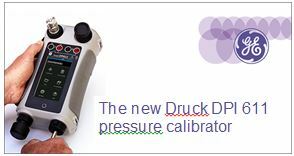 When the pressure’s on – there’s a smarter way to work For 30 years the DPI 600 series has been the benchmark for accuracy and pressure generation, and today the DPI 610 is the industry standard simply referred to as the “Druck”. The new DPI 611 builds on this legacy to provide a highly dependable, quick and simple solution to streamline your pressure maintenance and calibration routines.